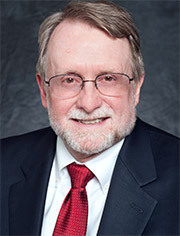 P. Craig Withers, M.B.A., M.H.A. Craig Withers manages the Office of International Support serving 30 programs in 17 countries in Asia, Latin America, and Africa as well as election observation missions. He has worked on Guinea worm eradication in Sudan and Nigeria and as a regional technical advisor in Burkina Faso for The Carter Center. Withers has more than 40 years of experience in public health and policy. He received a master of business administration in international business and a master of health administration in health planning from Georgia State University and a bachelor of science from the University of Notre Dame. His honors include awards for work done as special assistant to the deputy director of the National Institute for Occupational Safety and Health at the Centers for Disease Control and Prevention and recognition by the Republic of South Sudan for his contributions to Guinea worm eradication.